What would you do if you discovered someone had put $10,000 in your bank account? For Nathan Perelman, this was not good luck, but a mystery that he had to solve. Against his wife Marta’s wishes, he asks the bank and police to help him discover the identity of the mystery donor. When they do not feel that being richer is an actual problem, he finds a private investigator, Rosie Capelluto, to help. The secret donations of help continue and Nathan’s sanity is pushed to breaking point. Suddenly, Rosie's investigations uncover chilling revelations in relation to Nathan and Marta’s involvement in the Holocaust. As old emotional wounds are pulled open, cracks begin to form in relationships. Will Nathan want to revisit people and memories from his past? 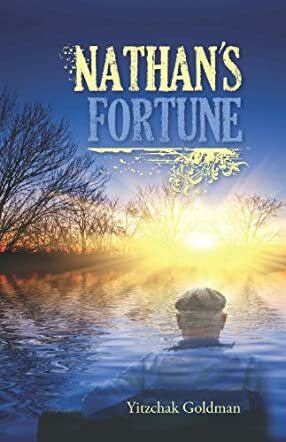 Nathan's Fortune by Yitzchak Goldman has a fantastically layered plot and, as each layer is peeled away, you get more insight into the characters' personalities. The dialogue is extremely funny in parts and I especially enjoyed the love/hate relationship between Nathan and Rosie. The scene between the police and Nathan as he tries to claim he is being harassed is particularly comical. The story line moves forward at a steady pace and as you meet each new character, you are left wondering if they are the mystery donor. I thought there were parts of this story towards the end that were completely heartbreaking, and the details of the Holocaust were written with extreme sensitivity and realism. The ending was a superb and perfect conclusion to a fantastic and insightful story.